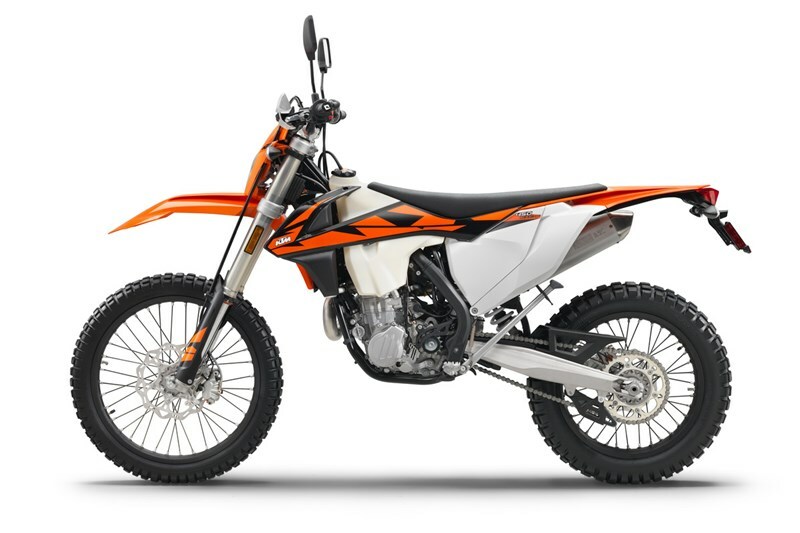 The all-new WP XPlor 48 upside-down fork is a split fork developed by WP in close collaboration with KTM. It is fitted with a spring on both sides but features separated functions for each fork leg: compression damping is fitted on the left side, while rebound is on the right. So the forks can easily be adjusted for compression and rebound with the twist of a dial on the top of the forks. In addition, a longer and sealed hydro-stop guarantees better resistance to bottoming-out. Due to high-quality materials and a state-of-the-art production process, the new XPlor 48 fork - with approx. 300mm of travel - has outstanding response and damping characteristics and is about a half of a pound lighter than its predecessor.